Lock in a Chevigny vacation package on Expedia today! This is by far one of the easiest ways of saving cash and time for your awesome vacation. Savings of as much as C$590* are available to those travelers who book a package deal on Expedia. Our comprehensive global database allows you to research more than 321,000 properties worldwide and 400 partner airlines. With such a terrific range of options, crafting your dream vacation will be a piece of cake! You can delay your vacation plans with us because we do not charge cancellation fees for almost all of our bookings. There's no end to the number of wonderful things you can do when you're somewhere new. 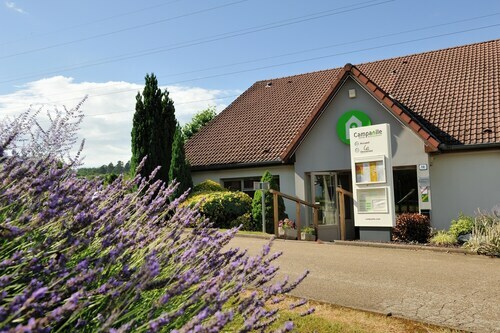 So why not get your trip to Chevigny off to a great start by checking out some of our top tips? After all – out there starts here! History has infinite lessons. Drink in the knowledge and become more familiar with times gone by at Musee Pasteur. Adventurers have a great range of options in and around this destination. Wouldn't mind adding some greater meaning to your vacation? Make a pilgrimage to Collegiale of Notre-Dame. No matter what your spiritual beliefs, it's a terrific place to discover a little about the local faith. Still have some time to spare? Nothing compares to admiring top-notch art when your soul needs lifting. As you gaze at the astounding works at The museum of fine arts of Dole, try to pinpoint a deeper meaning. There are 5 Expedia properties in Chevigny. Book now to make sure you find a room for your next luxury getaway or cheap vacation. If you'd rather not scour the web for hours for a place to stay, why not check out the ones on our list? 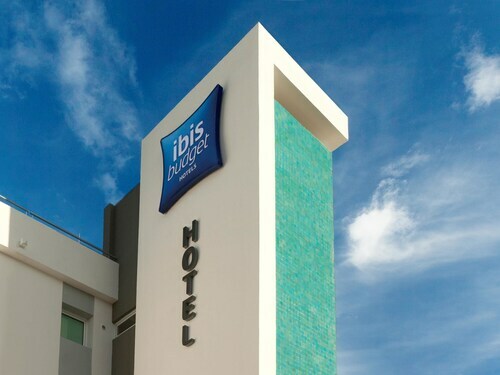 The Inter-hotel Eric Hotel and Campanile Dole are some of the most highly regarded properties in the area. If you plan to fly in, it's likely that you'll be hitting the tarmac at Franche-Comte Regional Airport (DLE). After you've grabbed your suitcase from the carousel and headed outside, downtown Chevigny will be just 9 miles (14 km) away. Situated in Dole, this hotel is 1.4 mi (2.3 km) from Collegiale of Notre-Dame and 1.4 mi (2.3 km) from Musee Pasteur. Lamarche-sur-Saone City Hall and St. Bartholomew Church are also within 20 mi (32 km). Dole Station is 26 minutes by foot. Located in the heart of Quetigny, this hotel is 2.4 mi (3.8 km) from University of Burgundy and 2.6 mi (4.2 km) from Gaston Gerard Stadium. Zenith Dijon and La Toison d'Or Shopping Center are also within 6 mi (10 km). 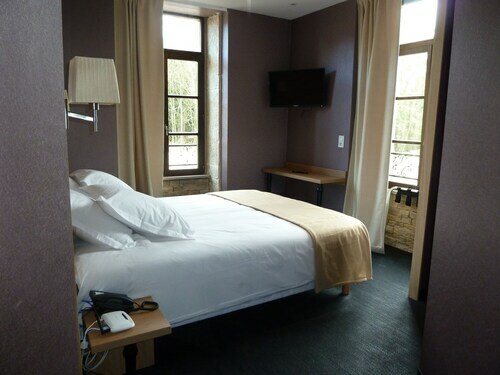 Located in the heart of Choisey, this hotel is 3.3 mi (5.3 km) from Musee Pasteur and 3.1 mi (5 km) from Collegiale of Notre-Dame. Church of Navilly and Living Museum of Bresse Bourguignonne are also within 20 mi (32 km). Situated in Dole, this hotel is 1.4 mi (2.2 km) from Collegiale of Notre-Dame and 1.4 mi (2.3 km) from Musee Pasteur. Lamarche-sur-Saone City Hall and St. Bartholomew Church are also within 16 mi (25 km). Dole Station is 29 minutes by foot. Situated in a rural location, this hotel is within 9 mi (15 km) of Chapelle-Chambertin, Port du Canal Park, and La Vie Bourguignonne Museum. Museum of Sacred Art and Place Emile Zola are also within 9 mi (15 km). Situated in Dole, this hotel is 1.5 mi (2.4 km) from Collegiale of Notre-Dame and 1.5 mi (2.4 km) from Musee Pasteur. Lamarche-sur-Saone City Hall and St. Bartholomew Church are also within 16 mi (25 km). 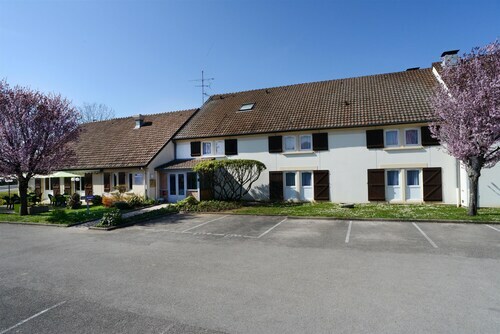 Situated in Choisey, this hotel is 2.9 mi (4.6 km) from Collegiale of Notre-Dame and 2.9 mi (4.7 km) from Musee Pasteur. Lamarche-sur-Saone City Hall and St. Bartholomew Church are also within 20 mi (32 km). 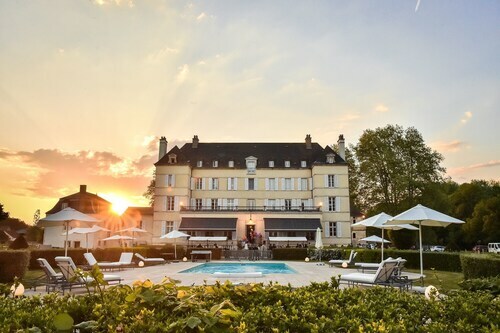 Situated in Arc-sur-Tille, this hotel is 1.9 mi (3.1 km) from Chateau d'Arcelot and within 9 mi (15 km) of Zenith Dijon and Gaston Gerard Stadium. Dijon Congrexpo and Church of Notre Dame are also within 9 mi (15 km).